· Excellent Transfer-ability without any hotmelt powder. · Excellent Adhesion to cotton and poly-cotton fabrics. · Enhance Elasticity and Washablity of print. · Smooth running on automatic machines. · Can be used as spot color for heat transfer printing. 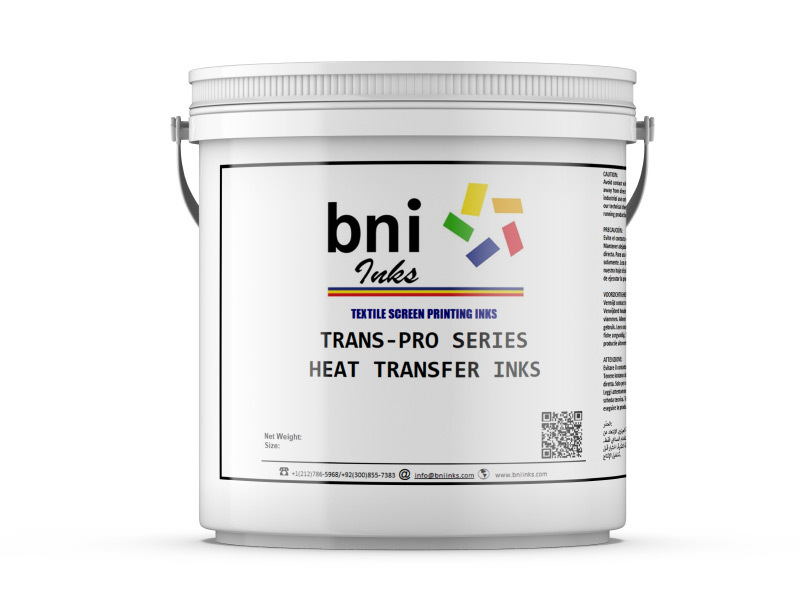 · Best compatibility with TransPro series transfer inks. Use the recommended mesh to print the ink on the recommended substrate for heat transfer. When applying multiple colors, flash dry each color. Use a recommended 160°C temperature, 3.5 bar pressure and 8-10 sec time for the final application of heat transfer. · Make sure the ink film is properly cured, non-cured ink may result in poor washing, adhesion and durability of print. · It is the responsibility of the printer to determine if selection of ink, mesh and procedure adjustment has been carefully selected to achieve proper efficiency of inks and desired results of your customers. · Poor handling of substrate may result in un-acceptable results of inks. For eg, peeling of a cold peel paper prior to its cooling temp may result in poor adhesion of inks. · Stir well before use. 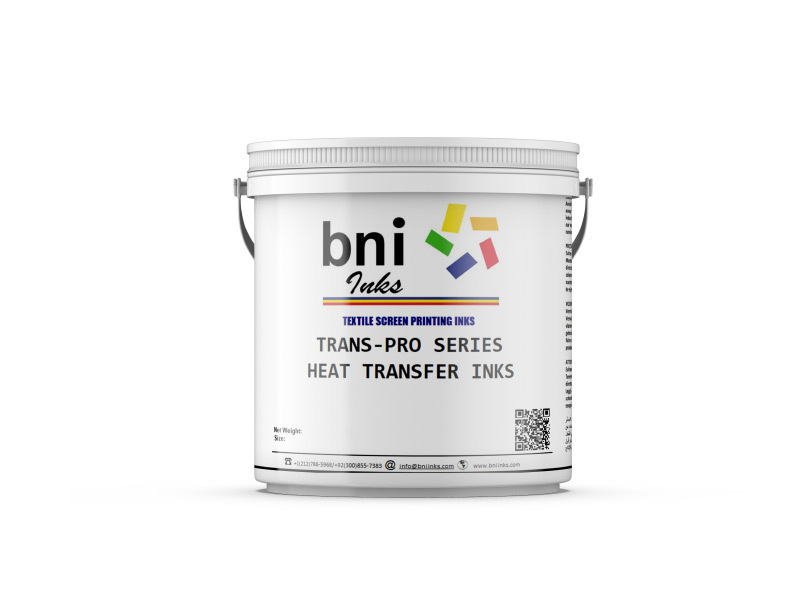 · Make sure the container is kept closed and not contaminated with inks, additives that contain any sort of hazardous material. This may lead in testing failure. · Make sure the container, apparatus and screens must be properly cleaned using a certified cleaner. Any application not mentioned here must be tested prior to production or consulted with BNI Inks technical department. · Cure Temp/Time: 170° C for 90 seconds. · Squeegee Angle: 45 degrees to screen. · Substrate type: Cotton, Poly/Cotton. Copyright © 2018 bniinks.com. All Rights Reserved.